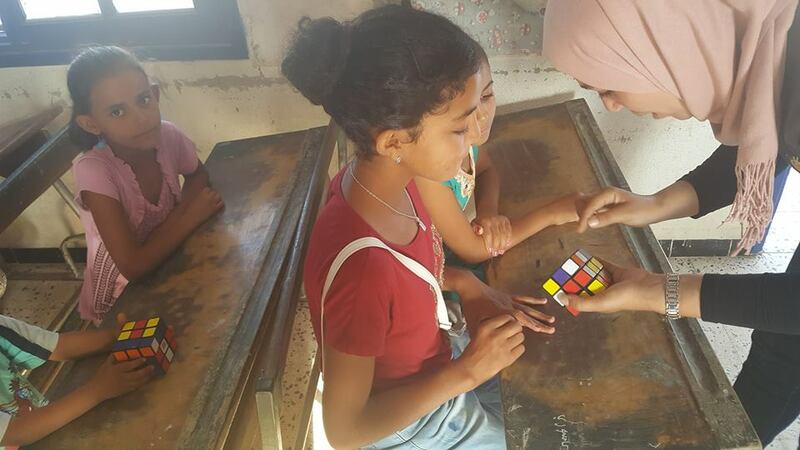 As part of the Professional Fellows Program (PFP) in NGO Development last spring, Samia created a follow-on project working with children in rural and remote regions of Tunisia. 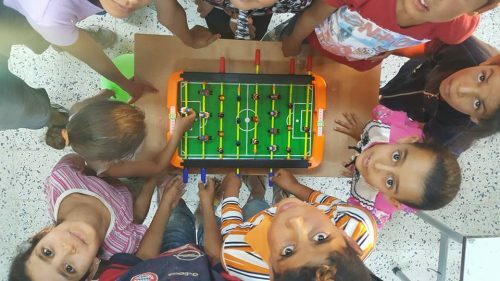 “By focusing on Change-making and an Empathic community, I hope to provide the critical tools that will enable every child to dream, carve new paths, seize new opportunities and create a promising future devoid of poverty and disregard. I strive to drive rural investment and keep community aware, store rural residents a chance to lift themselves out of subsistence with dignity and pride. The purpose of Mobile Services for Rural Children (MSRC) is to represent and support culturally Mobile services promoting the well being for youth living in rural and remote regions of Tunisia who are experiencing social, geographical, cultural and economic isolation. 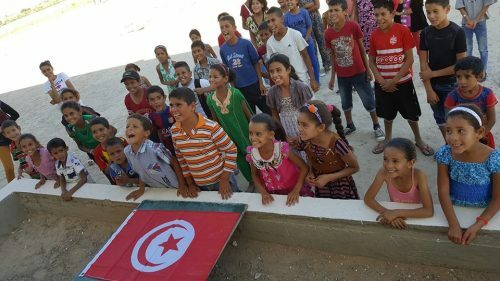 The idea first began when I recognized that rural children in Tunisia had little or no access to clubs or open spaces for entertainment and skills’ development. In my village, the situation is becoming increasingly serious as well as in other isolated regions. 20 years ago, nothing was provided for us as primary school students. Now, it is the same but it becomes more complicated as the World is changing too fast. It really hurts deep inside when I sense that gap between kids of remote areas and others. On 13th of August 2016, I was very proud of my project accomplishment. Finally one of my dreams came true. Our mobile club was launched with rural children and I saw them joyful and sunny. I can’t describe the happiness I viewed in their eyes. It is from heart! Their smiles did not leave their lips till the end of the event. They tried all sort of activities to find out where their talents are, they were free to join any activity they wanted and they enjoyed the world around them. Happiness is not expensive for them. They were dancing like nobody is watching, they got too excited when they shared competition in the different proposed workshops; drawing, lecture, gaming, dancing and singing, without any sense of discrimination. They spoke their mind. It was a real occasion for them to say what they feel, what they mean. Amazingly, they explored their hidden powers, Creativity was emerged, all their skills were appeared. They expressed themselves in a way you can’t imagine how! We hope we could be back soon for them and for other rural children!